Yes, I want to be a hide tanner! Are you ready to become a hide tanner? Do you want to expand your self-sufficiency by becoming a confident, capable hide tanner? Are you ready to transform a deer hide into beautiful buckskin with your own hands? Do you want to use the whole harvested deer, letting nothing go to waste? Would you like to reconnect with yourself and the Earth through the ancient art of transforming flesh into fabric? 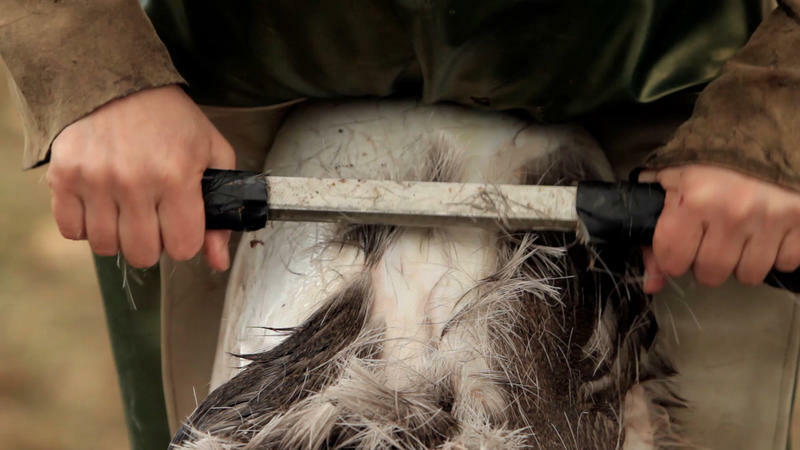 The Online Hide Tanning Course is a video-based program that guides aspiring hide tanners through every step of tanning a deer hide using the wet-scrape brain-tan method. With the Online Hide Tanning Course, you can learn hide tanning from anywhere in the world, at your own pace. You'll get instant, lifetime access to all course materials, so you can watch the videos, develop your sufficiency, and tan your hide on your schedule. Soft, durable, beautiful buckskin isn’t the only thing you’ll get from hide tanning. I'm ready to become a hide tanner! All of these fantastic resources are yours to keep for life, and refer to whenever is convenient. With the Online Hide Tanning Course, you can move at your own pace, taking advantage of any available time you’ve got to work on hide tanning. The weekly live videos will be archived for you to view after they’re released; if you miss one, you won’t miss out on the instruction. This flexibility means you can tailor your learning experience to your unique lifestyle and schedule. Explore how brain tanning works to create a beautiful hide, what equipment you need to get started on your journey, and how to prepare your materials for the first steps. Learn how to flesh a hide, prepare the hide for scraping, scrape the hide, and prepare for wringing. Set up your own wringing station, make a hide stake, and wring and open your hide. Make a brain or egg solution to brain your hide, and then wring and open and brain again and again and again! Prepare your hide for softening, learn the techniques to use on dry or wet hides, and discover the simple trick to know when the process is done. Clear steps for smoking your hide and ensuring that it is preserved, supple, and ready to use. The course videos, along with the manual, FAQ’s, and live-video archives are all yours for life. You can refer back anytime and revisit anything you need extra guidance on. Plus, you can take your time and dive into the bonus material (see below) months or even years down the line, if you like. 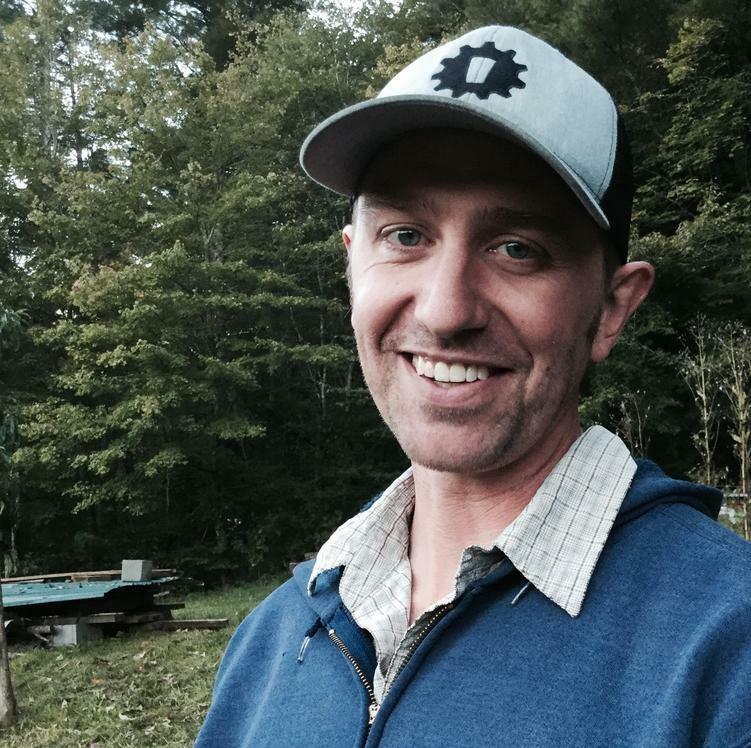 "Wild Abundance gave me the skills needed to fully utilize the animals I harvest. I’m no longer troubled by the fact that I’m wasting a valuable part of the deer. I tan my own hides now and, thanks to Wild Abundance, I have the confidence, ability and knowledge to do so in my own backyard." Sewing with buckskin isn't easy, but this bonus will show you step-by-step how to work with your finished hide to make something beautiful and useful. Learn to make a medicine bag from your finished hide! This bonus is a full mini-course in its own right, and will have you whipping up buckskin bags in no time. 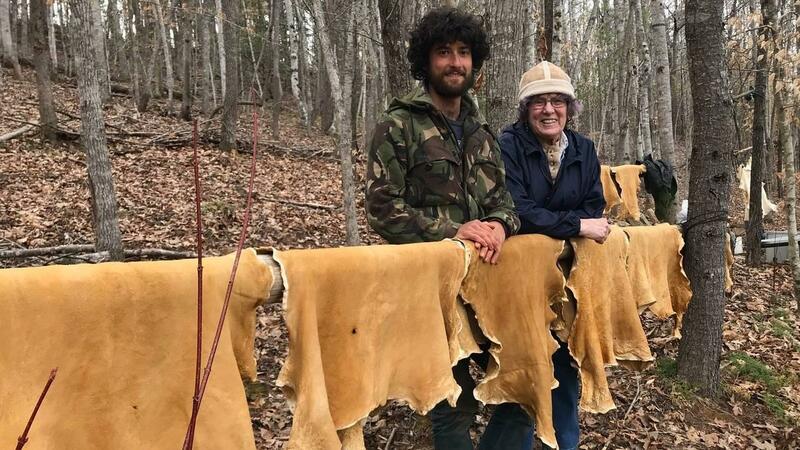 Over the past ten years we’ve taught hundreds of students how to tan hides, and thousands have used our educational resources in their hide tanning pursuits. I'm ready to be a hide tanner! "Beforehand, I had a basic knowledge of the process of brain tanning, but I had no idea where to even begin...Natalie’s expertise is incredible, as her insights surely saved me many hours of work and much frustration. It was an absolute pleasure." You can buy a deer hide from us! When you join the Online Hide Tanning Course, you'll have the option to purchase a hide for $65 including shipping (in the continental US) and have it shipped to your door. I've seen some good books on hide tanning; won't that be enough to get me started? A book might get you started, but hide tanning is a tactile skill, and it’s very hard to learn without seeing examples. You will probably struggle a lot with a book and won’t have the support that our expert team can offer you. With the Online Hide Tanning Course, you’ll see the detail you need to tan a hide right the first time. Plus, we’ll answer your questions in live Q&A videos, so you’re never stuck alone without a guiding hand. Where can I get a deer hide? If you have the skill and are interested, you can certainly hunt a deer. Call some local game processors. They will likely have an abundance of hides during hunting season that they’ll give away for free, or sell at a very reasonable price. None of those options a good fit? You can also buy a deer hide from us for $65 including shipping (in the continental US) and have it shipped to your door! I live in the city or the suburbs; will I be able to use this course? Half of our hide tanning students have lived in the city or the suburbs and have been able to make it work. If you have access to a yard (or a quiet patch of city park), you won’t have a problem. It’s helpful to have a hose or shower on hand, a freezer to put your hide on “pause” so you can come back to it later, and a drill. 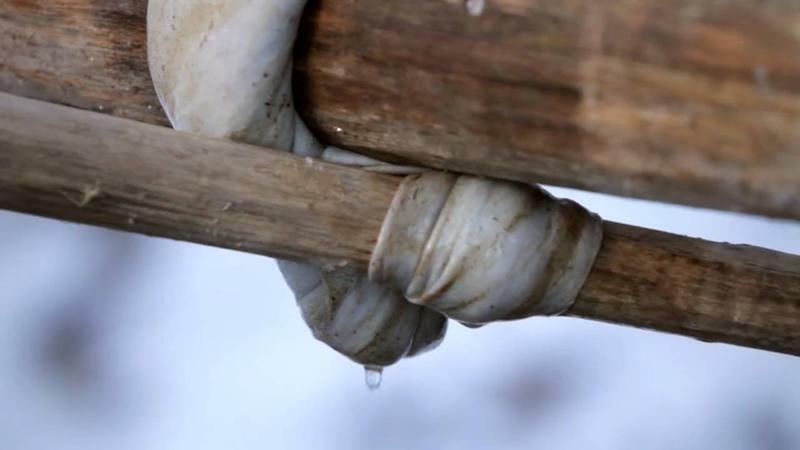 If you truly want to turn a deer hide into supple buckskin, we’re sure you’ll find a way. 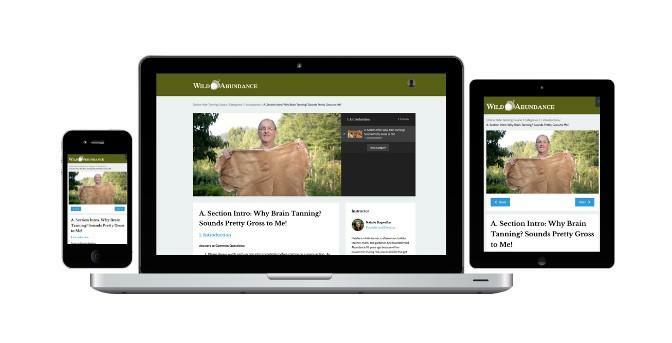 What are the advantages of the Online Hide Tanning Course compared to an in-person course? In-person learning can be better for this kind of hands-on activity, but it’s simply not accessible to everyone who wants to tan a hide. The Online Hide Tanning Course is actually a much better option for many folks. You get lifetime access to the course material so you can always come back to it, making it easy to revisit instruction for the challenging steps. 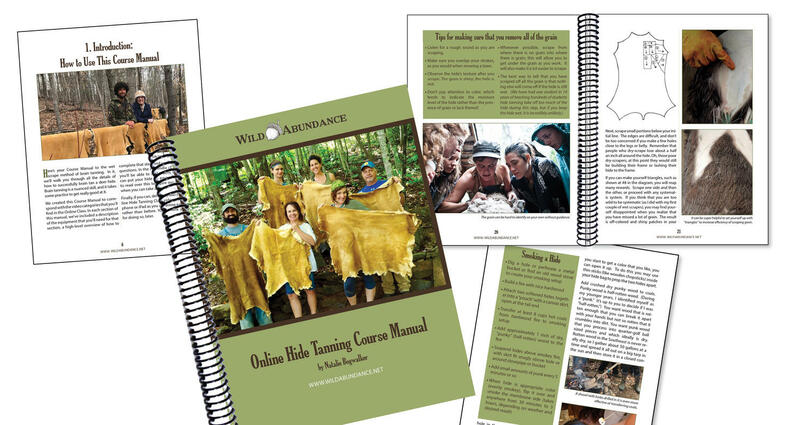 You’ll also receive the Hide Tanning Course Manual, an extensive PDF download that is much more thorough and contains more useful tips than our Hide Tanning Ebook. The manual includes details about when you can put your hide on pause throughout the process, plus a special section in each module that highlights common mistakes and how to avoid them. This written material supplements the videos and clarifies the process to turn your buckskin dreams into reality. We’ve found that folks who start doing these things at home tend to keep doing them. Taking the online course will make it easier to integrate hide tanning into your busy life. What is the difference between brain-tanned buckskin and commercially tanned leather? Brain-tanned buckskin is uniquely beautiful, chemical-free, and both stronger and softer than commercial leather. It’s also more breathable and molds to the body, making it ideal for clothing. So-called “buckskin” that is commercially tanned may contain toxic chemicals. What’s more, it won’t hold up to heavy use, cannot be used as thong to sew strong seams, and doesn’t have the look or feel of the real thing. You can buy brain-tanned buckskin, but it’s extremely expensive and costs 5 to 10 times as much per square foot as commercial leather. Learning to make your own buckskin takes time and energy, but will save you money. All of those reasons aside, hide tanning is a rewarding and and useful ancestral skill. Using buckskin that you have tanned yourself creates a deep connection to the object that you are making, whether a that’s buckskin bag, shirt, or moccasins. I’m over 55; can I tan a hide? Definitely! Hide tanning does require some serious physical work, but we have had plenty of students in their 50s and 60s, and even a couple in their 70s. It all depends on your physical ability or your ability to rope a friend into helping you (this might actually be a great opportunity to engage with a teenage grandkid in a really cool way). Most of the process is pretty mellow, but there are a few parts of the journey that are quite physically rigorous. You will need to listen to your body. There are plenty of times to put your hide on pause, so if you need a break, take one.Throughout the course material we highlight when you can safely put your hide on pause and won’t compromise the progression of your work. Depending on your physical ability, you might want to ask a friend for assistance during the softening phase. A little bit of serious muscle in the right moments can make a big difference in the softness of your hide. Do you have hand strength in at least one of your hands? If you have trouble with this, you will definitely want to ask a friend to help you along the process. I homeschool my kids and we love hands-on activities; would they be able to tan a hide? Hide tanning is totally family friendly. We love seeing families tanning hides together! Depending on the age of the kids, their physical abilities, and their motivation, it might make more sense to tan the hide together, or to let them loose on it themselves. Tanning together can be an awesome bonding experience, and is great to do with kids of all ages. We’ve had students as young as 11 and 12 tan hides on their own, but you will need to be the judge of whether this makes sense for your kid. If you and your children are exploring wildlife, ancestral skills, indigenous peoples, homesteading, survival skills, chemistry, hunting, or history, hide tanning can work into your learning smoothly. Can you tan a hide in the winter? Yes, we generally tan hides in the winter. As long as you have a few days above freezing for scraping and wringing, and a sunny-ish dry day with a fire (or an indoor heated shop) for softening, you are set! What’s the difference between wet-scrape and dry-scrape brain tanning? The difference here is in the scraping process, as may be evidenced by the names of the two tanning methods. 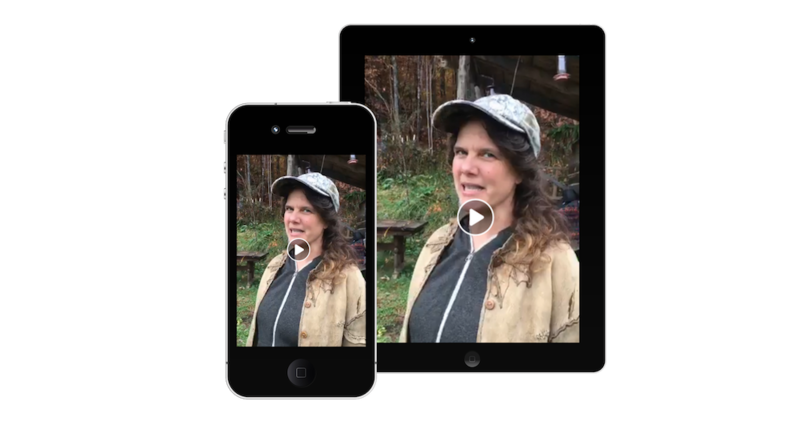 Natalie Bogwalker, the Online Hide Tanning Course creator, started with dry scrape, and quickly switched to wet scrape because she found it made a lot more sense in her climate and was much more efficient. Here's a quick comparison of the two methods. How long will I have access to these videos? Forever! Upon purchasing the Online Hide Tanning Course, you’ll have access to all of the materials associated with it: the videos, the course manual, the FAQs, and the bonuses. You can reference and revisit them for the rest of your life, or as long as the internet continues to function. If I run into trouble with my hide or make a mistake, how will you help me? The Online Hide Tanning Course is set up to keep you from making common mistakes in the first place. I’ve helped hundreds of students learn this art from scratch, and I’ve seen lots of mistakes! Throughout the course material we point out tricky spots where you need to pay extra attention to what you’re doing in order to avoid mishaps. 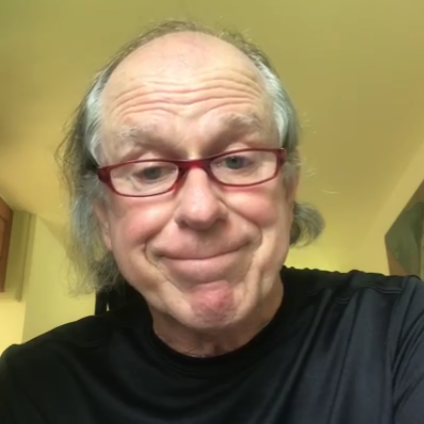 Each of the 40+ short videos that detail every step of the process are accompanied by an excellent FAQ that should answer your questions and help you get back on track if you think you’ve messed up. That being said, mistakes still happen, and you may have questions that aren’t answered in the FAQs. So, for two months after you receive the class you can email us your questions and we’ll answer them during a weekly live video. What can I make with my tanned hide? Your imagination is the only limiting factor to what you can make. 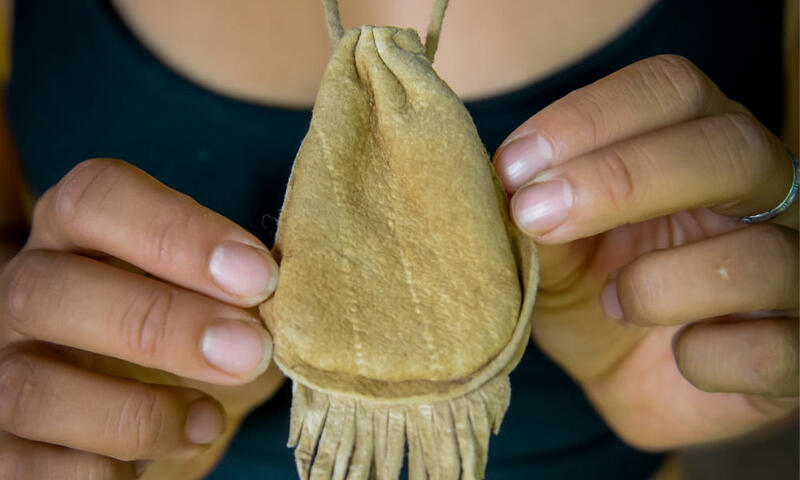 Many beautiful things can be made with one hide: hats, possibles bags, pouches, moccasins, buckskin bikini tops, and even skirts, shorts, vests depending on the size of your hide, and the size of your body. After you’ve tanned multiple hides you could make a buckskin jacket, pants, dresses, a long skirt, a backpack, and more! You’ll have access to the course material for life, so if you’re motivated, you’ll be able to tan many, many hides and make everything you can dream up. What kind of animals can be tanned with this method? We’ve used (and seen others use) this method for tanning hides from deer, antelope, elk, caribou, moose, racoon, bison, goat, and sheep. It’s likely that it would work with kangaroo hides, but we haven’t had a chance to try (can you help us out, Australian friends?). Wet-scrape brain tanning (the specific hide tanning method this course covers) is ideal for deer, antelope, and goat hides. If you use it to tan the hide from a thinner-skinned animal such as sheep, you need to take extra care in the scraping steps since vigorous scraping can tear the hide. On the other hand, if you choose to brain tan a larger, thicker hide ( like elk, bison, moose, or caribou), the scraping and softening processes will be very laborious due to the size and thickness of the hide. To help ensure your success with a larger animal, it can be a good idea to collaborate with a friend and share the hard work. Can I use this course to do hair-on tanning? In order to do hair-on (a.k.a. fur-on or pelt) tanning, the process that we present in this class must be adapted. At this point, this course will not walk you through the exact process for tanning with the hair or fur on, however many of the steps, techniques, and tools are quite similar. Stay tuned for an add-on to the course in the future that covers hair-on tanning! Do I have to be in the U.S. to take this class? No! We’ve had students express interest from New Zealand, Australia, Canada, Holland, South Africa, the U.K. and beyond (which is pretty exciting). This course is great for you, no matter where you live. Brain tanning is an ancient method that has actually been practiced all over the world. The video content and extensive course manual will always be available to you, as long as you have the ability to access the internet through your phone, tablet, or computer. Note: we are only able to ship rawhides for tanning to residents of the U.S.
How long does it take to tan a hide? Two days to one year. But seriously, an experienced tanner can tan a small to medium deer hide in two days if it’s all they focus on during that time, and the weather is conducive. At the other end of the spectrum, there are several points in the process when a hide can be “put on pause” to be revisited at a more convenient time (we make notes of these opportunities throughout the course material). It’s usually a good idea to un-pause and complete the process within a year. For a beginner, if you’d like to go start-to-finish without taking long breaks, you can expect to tan your hide in 3-4 days. If you’ll be tanning on weekends only, you can expect the process to take 2-3 weekends, depending on how fast you work and on the weather. What special tools and equipment will I need? Do you show me how to get/make these? There are a few specialized tools and some equipment you’ll need to tan a hide. The course includes an extremely detailed materials list, with clear direction for what you’ll need at beginning of each step. We suggest various low and no-cost options for every tool, and give detailed instruction about how to make your own equipment from inexpensive or foraged materials. Many of our past hide tanning students have easily created their own setup at home after taking an in-person course with us, which is is a testament to the thoroughness of our materials list and instruction. Do I really need to use brains to tan a hide? The only brains you absolutely need to tan a hide are your own! It’s true that the method of hide tanning covered by this course is called “brain tanning,” but you do have other options for adding fat and lecithin to your “braining” solution (fat and lecithin being the important ingredients that the brains contain). Using the actual brains of the deer whose hide you tan can be very powerful, connective, and efficient. For you hunters, this is a no-brainer (haha), since you’ll have the whole animal to work with. If you’ve gotten a deer hide through other means, it’s likely that you didn’t also get the brain. In this case, egg yolks can play the same role. In the course we describe exactly how to brain tan with and without brains, including specific recipes for each option. I'm not going to have four days in a row; can I take a break while tanning? Yes, but you have to be strategic. There are many points in the process of tanning a hide when you can put your hide “on pause” and take a break without compromising your work. Throughout the course material we highlight these opportunities, including a list of all of them in the course manual appendix. This guidance will help you plan your tanning projects based on your available time and physical stamina. There are certain steps that, once they’ve begun, need to be completed without taking a long break. So, if you know that you’ll need some breaks, take a look at the course manual to plan out when you’ll take them and when you’ll push on through. I have another question; how can I reach you? We'll be happy to answer your questions about the course! 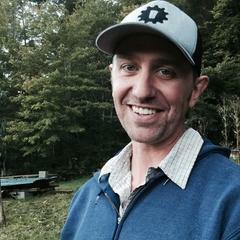 Please email us at buckskin@wildabundance.net and we'll get back to shortly. How can hide tanning change your life? This hunter and firefighter has a new relationship to his harvest. An in-person hide-tanning class can cost $600 or more, and when you add in travel and lodging, the price could go up to well over $1000. And then, being able to attend at all is dependent on scheduling and availability. When you join the Online Hide Tanning Course, the entire 13+ hour experience is available to you immediately upon enrollment, and is easy for you to access at any time throughout the year. We want you to be happy with your experience, and offer a full refund within 14 days of purchase. To qualify, watch and complete the first six modules of the Online Course within 14 days of your purchase. If you are not satisfied after that point, we'll offer you a full refund, no questions asked. Hide tanning is one powerful, tangible way you can reconnect with what it really means to be human. 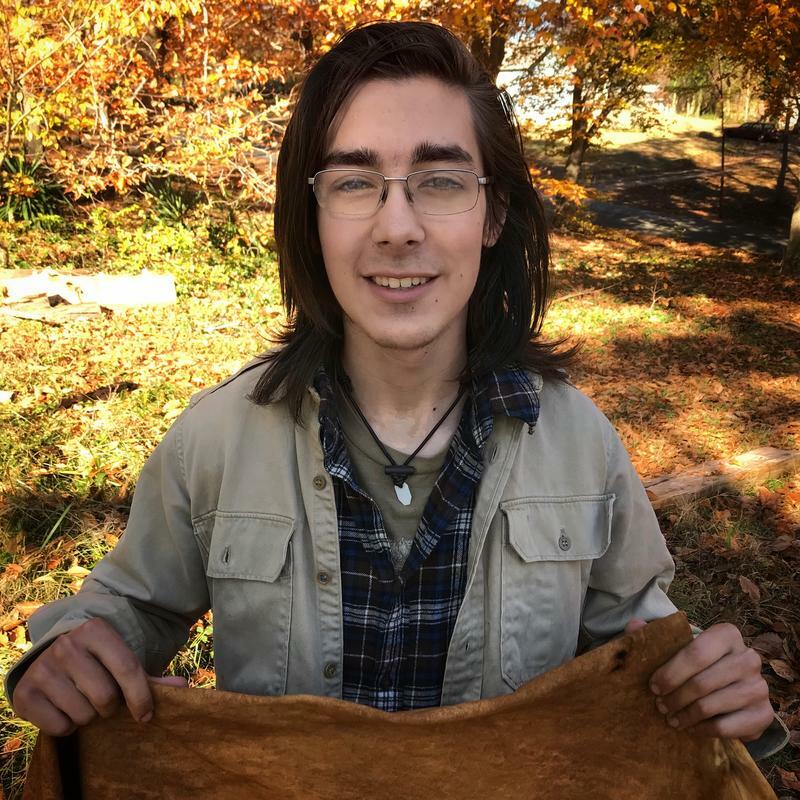 Feel your own strength and proficiency as you transform a raw deer hide into one of the most ancient, beautiful, and useful materials. Proudly share the fruits of your creativity and hard work with your friends and family. 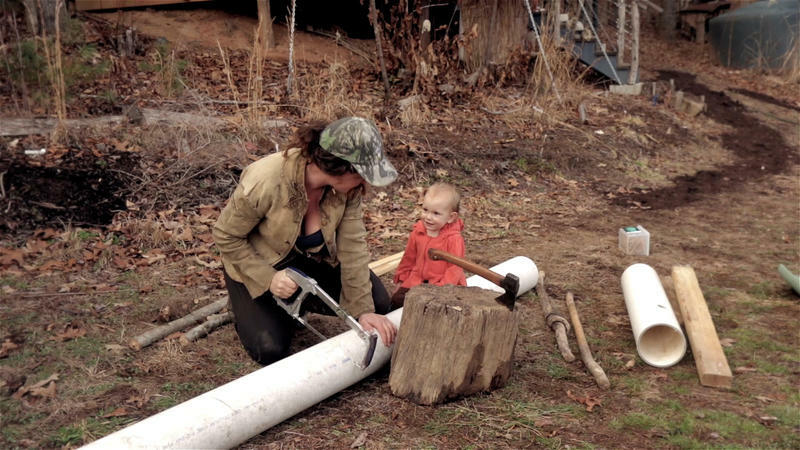 Natalie is a hide tanner, craftswoman, builder, teacher, mom, and gardener. 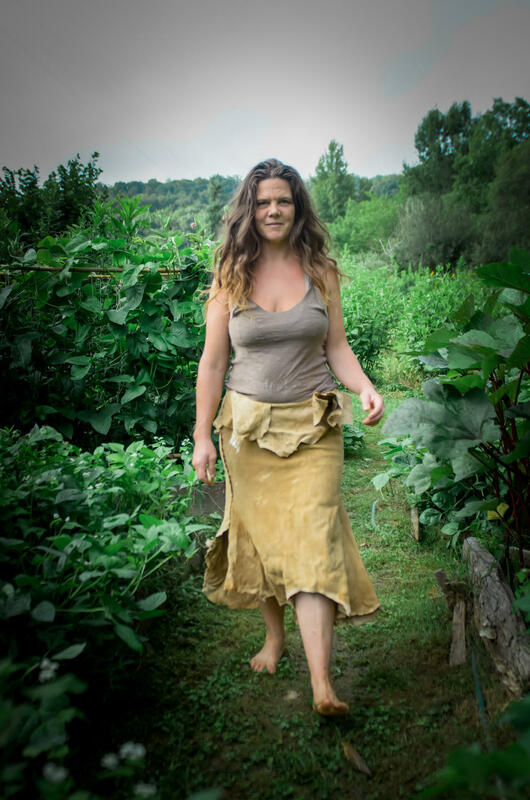 She founded Wild Abundance 10 years ago because of her passion for sharing real, practical skills that get people closer to the Earth. 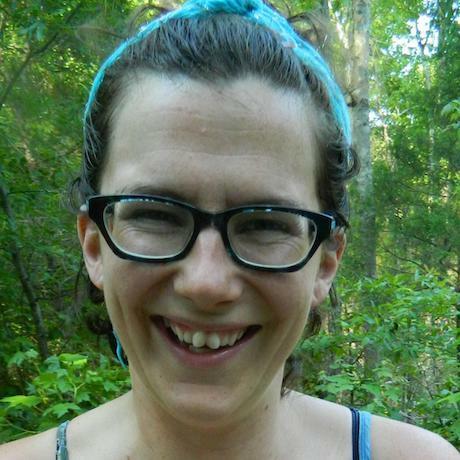 Hide tanning was one of the first earthskills that she learned, and it changed her life profoundly. That was over 15 years ago! Since then she's tanned uncountable hides, but more importantly, she's taught hide tanning to hundreds of students. Natalie knows what usually trips people up who are new to hide tanning. In this online course she shares a thorough, step-by-step guide to hide tanning, including numerous tips and tricks that will help you succeed. 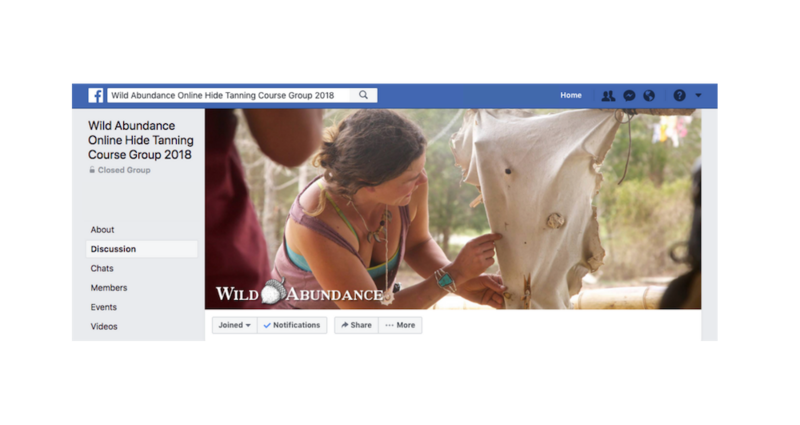 Join the Online Hide Tanning Course Now! 1. No part of this publication may be reproduced in whole or in part, or stored in a retrieval system, or transmitted in any form or by any means, electronic, mechanical, photocopying, recording, or otherwise, without written permission of the publisher. 2. The information contained within the Online Hide Tanning Course is intended for educational purposes only. Wild Abundance LLC is not responsible for any injury that may result from attempting to tan a hide according to this Online Course. 3. Refund Policy: We want you to be happy with your experience, and offer a full refund within 14 days of purchase. To qualify, watch and complete the first six modules of the Online Course within 14 days of your purchase. If you are not satisfied after that point, we'll offer you a full refund, no questions asked.